Picking favorite members can be a rough decision as sometimes you can't just pick one. Over the course of the past year and a half, I have been paying a lot of attention to most of the sister groups of AKB48 and not the main one itself. One of the sister groups that has severely drawn my attention is the so-called "loli" group down in Fukuoka, HKT48. When it comes to choosing a favorite in that group there are plenty to choose from such as the first ever back-to-back winner of the AKB Senbatsu Sousenkyo Sashihara Rino or I could go after one of the other major stars of the group including Kodama Haruka aka Haruppi or even Miyawaki Sakura. The three that I mentioned above have big, I mean big fan bases around the world. The sad part about that reality is that I got one of my workers to be a fan of Haruppi. The only problem with me choosing one of those three main attractions is their fan base being so large. I honestly did not want to jump on the band wagon and start throwing a ton of support at them. So, in that case they got disqualified from contention. When I first started getting to know the Hakata girls, I wanted to do some fair research about each and every member to make sure I could pick a favorite member. 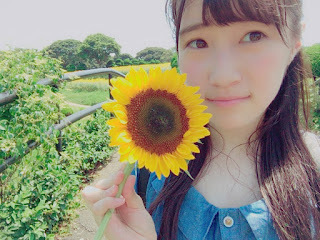 While conducting such strenuous examinations, I couldn't really find a favorite from teams H or KIV, so I dug further into the group and came across the kenkyuusei which is now happily team TII, looking for options of who to throw my Oklahoman support towards with all my strength. As it would turn out, I found a few diamonds in the rough that I have been throwing my support towards. So with that being said, let me showcase my oshis for contention for my top spot and I hope that you will enjoy my choices and maybe if you like them already, welcome. The first nominee for contention is Sakamoto Erena. Fun fact: She has a adorably cute parakeet named "Piisuke"
Why choose Eretan for a oshi spot? I have many of reasons. I found about about her through Hakata Hyakkaten 3, which is one of the many of shows HKT throws out there. She debuted on episode two in studio and I thought of how adorable she was and it made me want to support her even though I barely knew who she was. She has a somewhat serious side but when she has a chance she can prove to have great comedy. She sometimes has her own radio/video show on her Google+ every now and again with several other members where they talk about random things. I have supported her since that episode and will continue to. Over the course of time, she has grown into a very confident and charismatic teenager. She did not rank in this years Sousenkyo, which should not be a surprise whatsoever as I have yet to find another fan of her. I hope to find one someday. The next candidate for oshimen is practically the best friend of Sakamoto Erena and the oldest member on my list, Yamashita Emiri. Well to be fair, she kind of popped up recently on my list of favorite HKT members and immediately got put in my top four for a couple of reasons. One of the reasons why I chose her is for her personality. She has a very comical side to her sometimes that just blows my mind, while there are times where it looks like she is bored out of hers. Lately, she has been having a competition with fellow member Matsuoka Hana for the attention of one half of the comedic duo Football Hour, Goto Terumoto who does MC work with Sashihara Rino on HKT48 no Odekake!! Goto seems to like Hana-chan more which really makes Emiri work hard for attention and can be quite classic when she gets screen time. 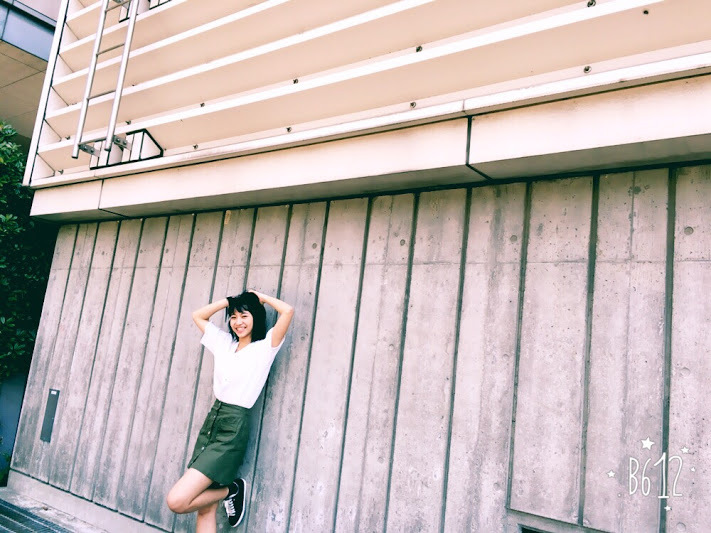 Emiri was not chosen during the Sousenkyo like Eretan wasn't but she was chosen for the senbatsu of the HKTs' sixth single Shekarashika!, which is a fantastic song to listen to if you haven't. Now I am going to be completely honest. I am not a short-haired person but I can suffice with her style because it looks great on her. 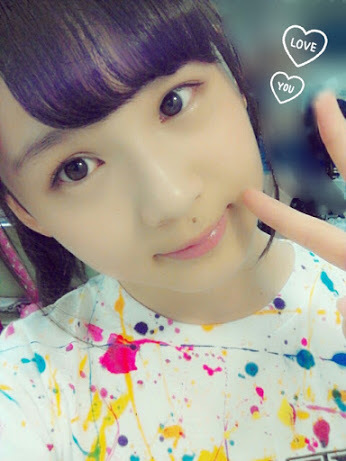 She has grown into a lovely young lady and I look forward to supporting her more throughout her time at HKT. You must be into lolis. I have many a reason for choosing Aramaki-chan for my top three. The first being, just look at her. Is she not just super adorable. Another reason why I chose her is for her personality, The shell that she displays is pretty similar to mine. The shy and quiet type who can get embarrassed quite quickly and blush super fast. I found Mirun through the same episode as Eretan, where Mitz Mangrove gave advice to her about not being confident and then she cried. I knew at that moment that I had to support her. She had longer hair back then and when she cut her hair shorter, it took me by surprise but I found it to be quite fitting. I remember one episode of Odekake where Mirun told Yabuki Nako that she was cute and it was super adorable because they went back and forth and I had a smile the entire time. 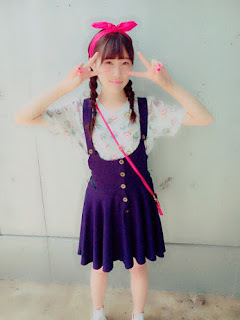 Aramaki-chan, just like the other two, has yet to rank but due to her age, I hope to see her rank soon. 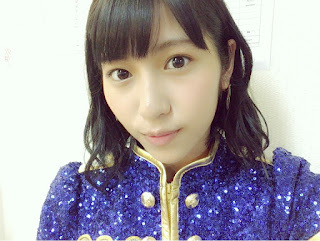 On the 12 Byou single by HKT48, the song Hohoemi Popcorn, was centered by her. I absolutely love that song to this day. I will drop the music video down below for your enjoyment and also a video of Sasshi melting over her a few years ago during a consultation session. I super love this song and the fact she got to center in it is pretty splendid. Again, how adorable is she!! I will continue to support this young lady to the ends of the Earth if I have to. 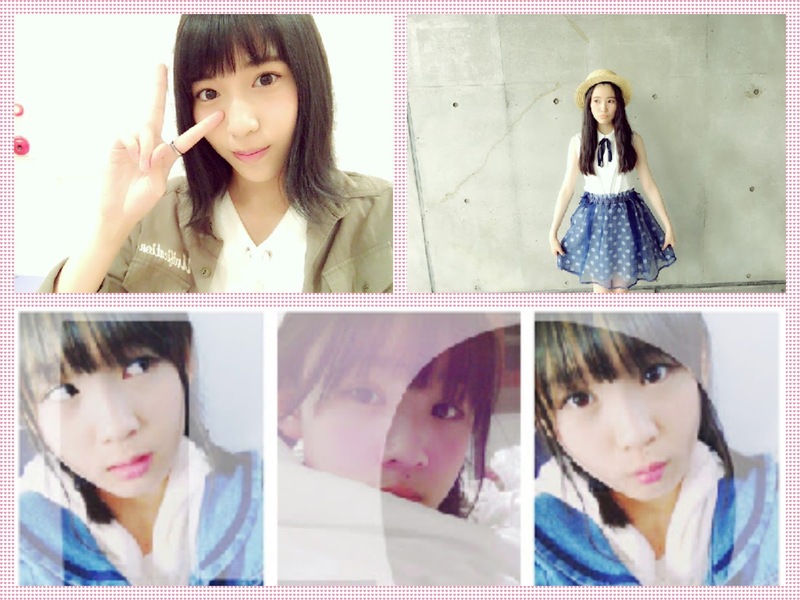 As you can see, those are my top three candidates for the spot of HKT oshimen. All three seem to be pretty good choices but they may be to young for most people to pick as their favorite. I will continue to support all three with as much might as I can from here in Oklahoma. I hope to get to meet all three of them someday before they graduate at least. I sadly do not expect big lines for them at handshake events but I probably would be surprised. If you made it this far, I really thank you. I really hope you enjoyed this article and if you happen to be a fan of one of these three, feel free to leave a comment about what you like about them or if you aren't a fan drop a comment of your favorite member. To top it all off, I will share a video of five of the members of the members of Team TII icluding my top three members before the senbatsu sousenkyo. Enjoy the chat and if you are looking for English subs of the episode, go check out BlueMentaiko for them. You can follow me on Twitter if you'd like and feel free to share with others. I would greatly appreciate it. *And as always, wherever you are Have A Fantastic Day!!! !